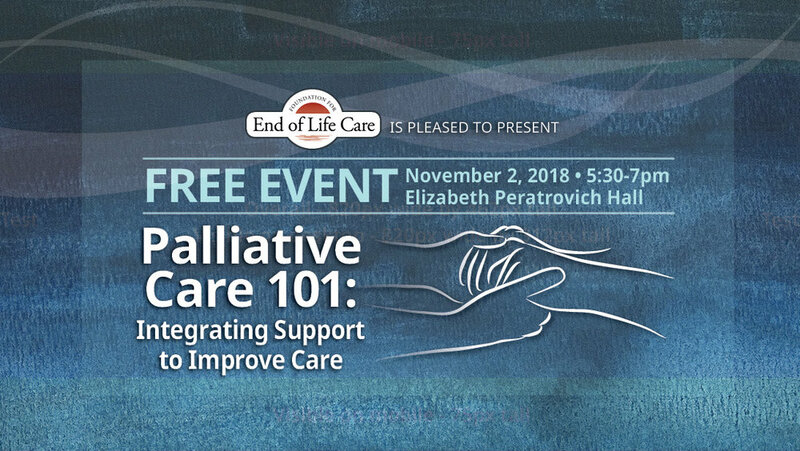 The Foundation for End of Life Care is bringing two speakers for a free public lecture addressing the topic of palliative care, to be held on November 2, 2018 at 5:30 pm in Elizabeth Peratrovich Hall, 320 Willoughby Street. Dr. Ursula McVeigh is the medical director of palliative care, Providence Alaska Medical Group, Anchorage, Alaska. She attended Yale Medical School and then did a residency in internal medicine at the University of Vermont. She then completed a fellowship in palliative care at Harvard, in Boston. In addition to her position at Providence, she is currently a clinical associate professor at the University of Washington. Diana Seropian is a social worker in Providence Alaska Medical Group, Anchorage, Alaska. She previously spoke to a Juneau audience on this same topic of palliative care in 2015, and a video of that presentation can be found on YouTube (https://www.youtube.com/watch?v=M5uQEsRSbbc). This talk is intended to help those who have a family member or friend with serious illnesses. The talk should serve as introduction to the topic of palliative care, and it should offer help to someone wondering how to get started understanding what services are available for a family facing a long-term, serious illness, and to understand when those services might be helpful and appropriate.